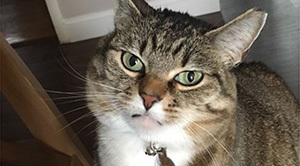 A new study published Thursday in Scientific Reports claims domestic cats do recognize their own names — it just couldn't care less. 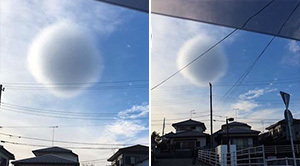 A rare spherical cloud hovered over the city of Fujisawa, Japan. 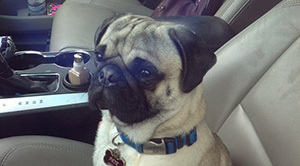 My dad is a mailman and he likes to give dogs on his route treats. 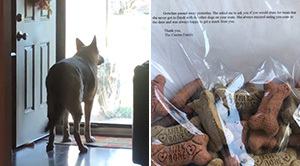 Today he told us one of the dogs on his route passed away and his owners gave him this bag of treats with this note. 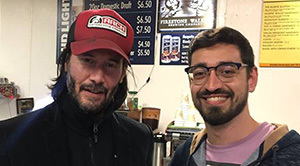 According to passenger Amir Blum, Keanu Reeves was on his flight from San Francisco to L.A. on Saturday, and the plane had to make an emergency landing in Bakersfield, 100 miles short of Los Angeles due to a mechanical issue. 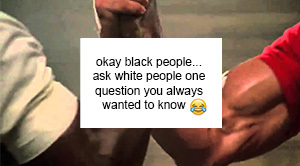 The Facebook page 'Afrocentric Films Collaborative' gave the opportunity for black people to ask white people questions they have always wanted answers to and it went incredibly well. 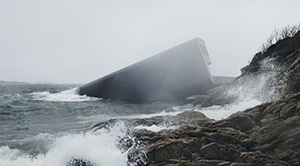 There's a new restaurant in Norway that is five and a half meters below the surface, exposing you to the wonders beneath the sea. 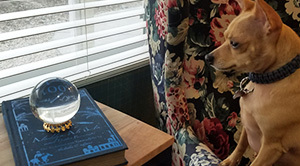 This dog figured out that he can see up to the sidewalk in the reflection of this crystal ball. 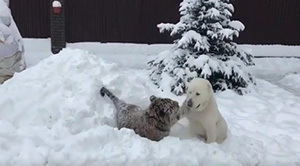 A rescued tiger and a dog have built a wonderful friendship at this animal sanctuary in Russia. 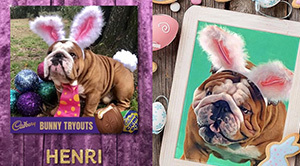 The winner of Cadbury's first ever 'Bunny Tryouts' is an English bulldog from Wilmington, North Carolina, named Henri. 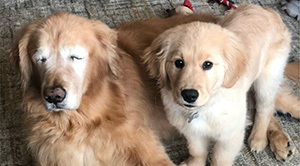 Charlie, a blind 11-year-old golden retriever is now able to 'see' again thanks to a 4-month-old golden retriever puppy named Maverick. 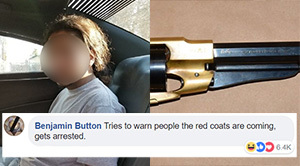 The Fresno Police Department posted pictures of a young man they arrested who was in possession of an illegal weapon. 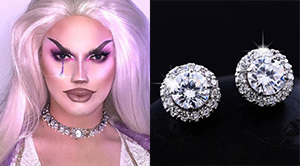 A shopper ordered a pair of earrings on the Chinese online megastore Ali Express but the package never arrived. 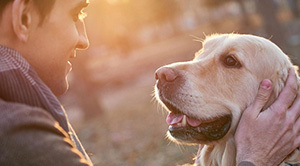 The company asked for proof of the claim. 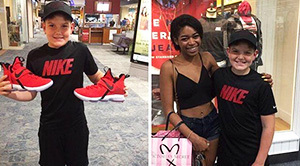 So this is what Iris sent them.